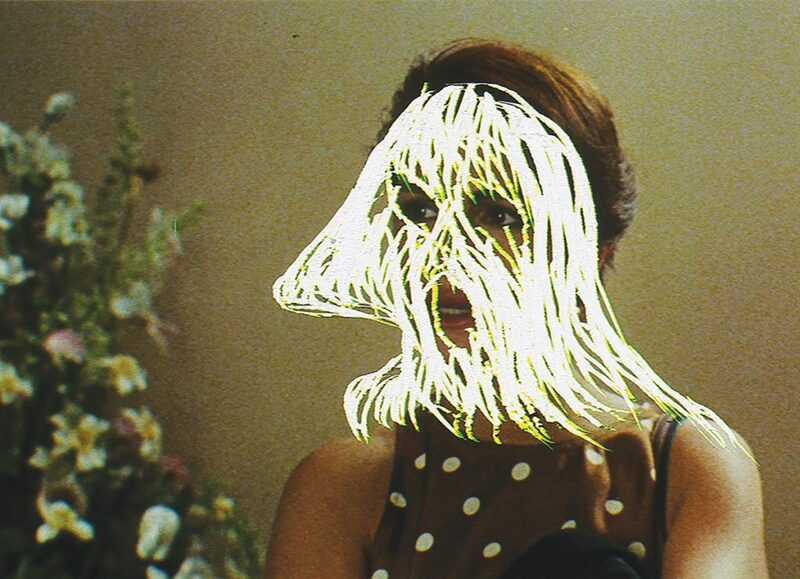 Tara Marynowsky, Pretty Woman (video still) from the series Coming Attractions 2017–19, hand-scratched celluloid from 35mm film trailer. Image courtesy the artist and Chalk Horse © the artist. Tara Marynowsky, Indecent Proposal (video still) from the series Coming Attractions 2017–19, hand-scratched celluloid from 35mm film trailer. Image courtesy the artist and Chalk Horse © the artist. 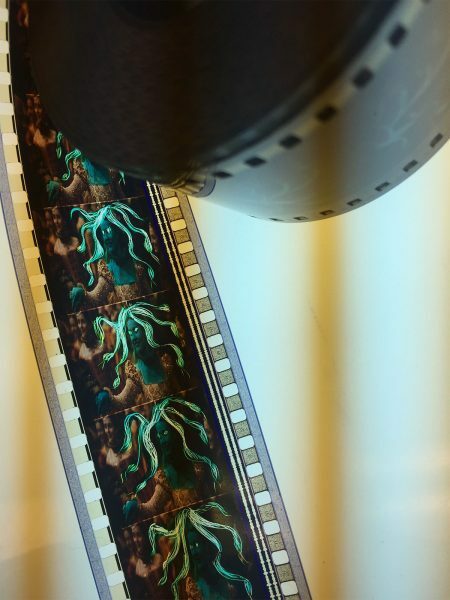 Tara Marynowsky, Shakespeare in Love (film strip) from the series Coming Attractions (2017-19), hand-scratched celluloid from 35mm film trailer. Image courtesy the artist and Chalk Horse, Sydney © the artist. Artist Tara Marynowsky has long been fascinated with the monstrous feminine – the twin forms of female beauty and ugliness. 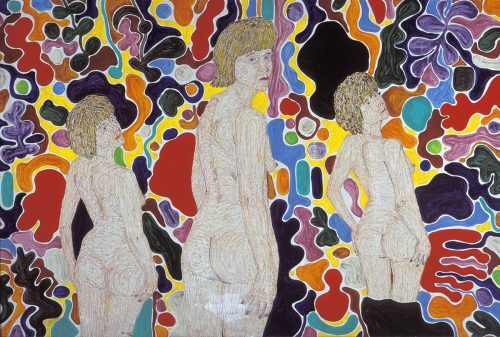 She collects old photographic portraits from the first half of the 20th century, often sent as postcards, and applies delicate layers of watercolour and gouache – giving the women bulging brains, greenish skin and purple rouge; eyes blank or goggling. 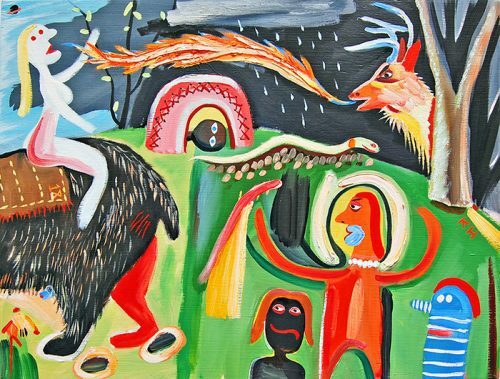 In addition to her well-known drawing practice, Marynowsky has long worked with film and video; in fact, video came first, having majored in time-based art at Sydney’s College of Fine Arts (now University of New South Wales, Art & Design). However, after focusing on video for some time, her drawing practice came out of a yearning for the tactile: “I just really wanted to get back to using my hands,” she says. In her forthcoming installation for The National, she has managed to do both. 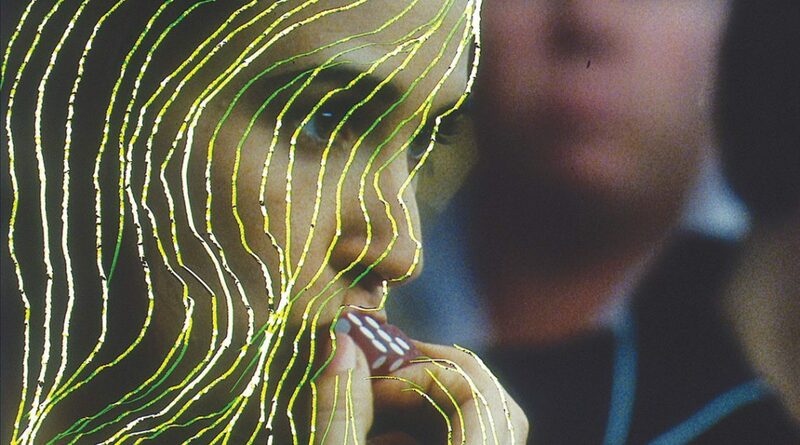 To be exhibited at Carriageworks, Marynowsky’s work Coming Attractions consists of four videos, each taking as its raw material a film trailer from the 1990s: Pretty Woman (1990), Indecent Proposal (1993), Species (1995), and Shakespeare in Love (1998). While at one level these films may spark nostalgia, in each of them the female character is an object of men’s pursuit and desire: variously bought, sold, rescued, hunted and bargained over. Their release dates mark out Marynowsky’s adolescence and highlight some of the female role models available for mass consumption at that time. Marynowsky, however, is “re-directing” each of them. 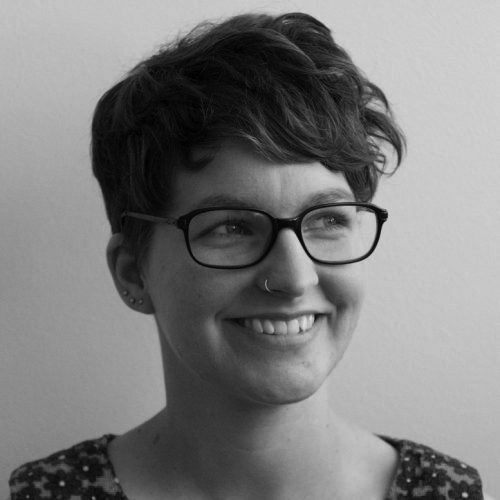 Although the trailers are all digitally available via YouTube, she works with the physical, analogue objects – obsolete 35 mm film reels, purchased online. Armed with a knife and a lightbox, she has set about scratching into the celluloid, editing the female protagonists in unexpected ways. In the trailer for Pretty Woman (2018) for example, the figure of Julia Roberts is worked over with scratched lines, in constant motion: from ‘pretty woman’ to a monstrous figure, complex and unpredictable, pulsating with light. 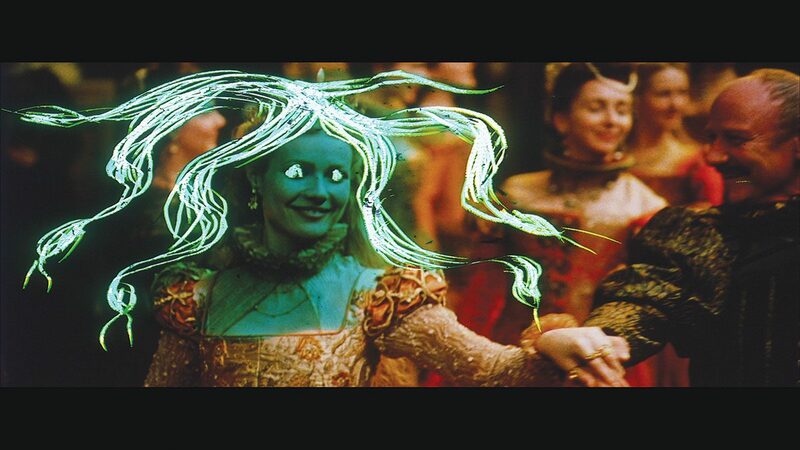 In Shakespeare in Love, Gwyneth Paltrow becomes a Medusa-like figure – and the title is amended to become Snakes are in Love. Tara Marynowsky, Shakespeare in Love (video still) from the series Coming Attractions 2017–19, hand-scratched celluloid from 35mm film trailer. Image courtesy the artist and Chalk Horse © the artist. Given the standard film rate of 24 frames per second, the trailer for Pretty Woman – clocking in at 2 minutes 55 seconds – consists of 4200 frames. Multiply this by four, and the scale of the project becomes evident – around 16,000 tiny frames to edit, each one smaller than a square inch. The thought of this is somewhat eye-watering. “It’s super tiny,” Marynowsky agrees, explaining the uncertain outcomes of working directly onto this material: “I think that something’s looking nice, but then it blows up onto a screen and it’s quite different. 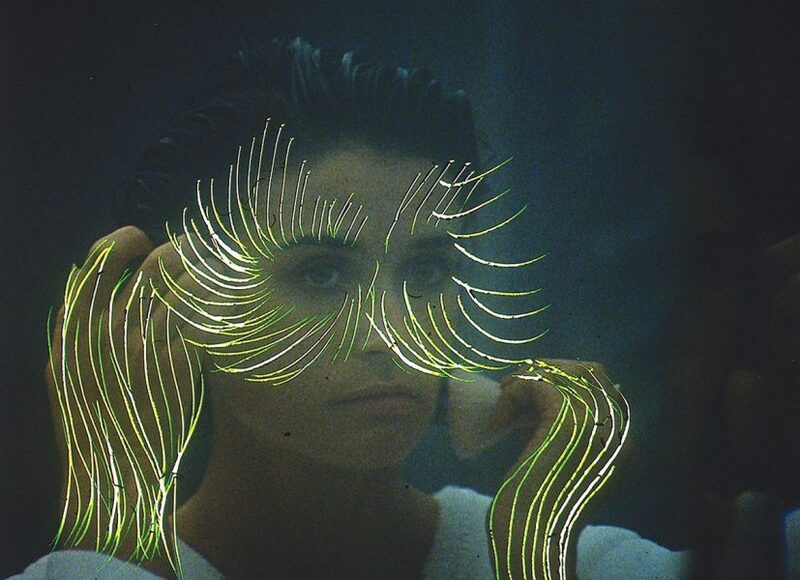 There’s a whole element of surprise.” When working on the Indecent Proposal trailer, for example, a pattern of lines scratched into Demi Moore’s hair turned out to resemble a netted structure, with Moore caught inside. “It kind of reveals itself,” she says. For the artist, an important element lies in employing these “old-school techniques that, you know, ‘male geniuses’ or whatnot tend to use.” In taking on the tools of the past, she connects with the art historical canon of abstract imagery – Brancusi, Picasso, de Kooning et al – in order to engage directly with this tradition of women distorted by men. Against this backdrop, the somewhat aggressive action of scratching back into a celluloid image is even more suggestive of meaning – to say nothing of the Medusa form emerging from within a Weinstein produced film. Priming us for nostalgia, Marynowsky reveals the monsters lurking beneath celluloid skin. This article originally appeared in the March/April 2019 issue of Art Guide Australia. 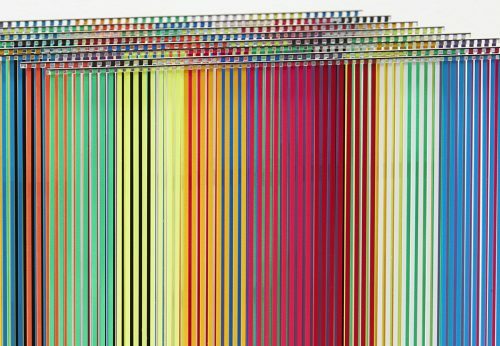 Drawing on a palette comprised of pure colour, immersive installation and the science of perception, Nike Savvas creates audience experiences that flood, puzzle and delight the senses. Digging deep into this most universal of human experiences, LOVE at Melbourne’s Immigration Museum includes a wealth of objects from the Museum Victoria collection, as well as artworks and oral histories collected from the community.